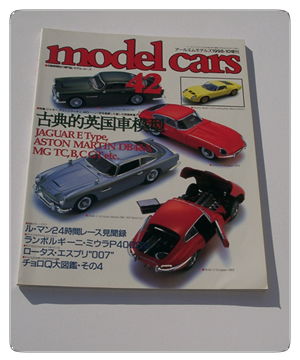 1998 issue 10 of the Japanese language magazine, Model Cars. Each issue is printed on high quality glossy paper in full colour and is, on average, 160 pages. Each issue has features on model kits, die cast cars, trucks, Hot Wheels, real cars and kit building. The feature article in this issue is model kits of the Toyota Celica. The magazine is in excellent condition, with very little marking and wear to the corners (see photo). These magazines are heavy, so postage costs are a little more than other magazines we sell.